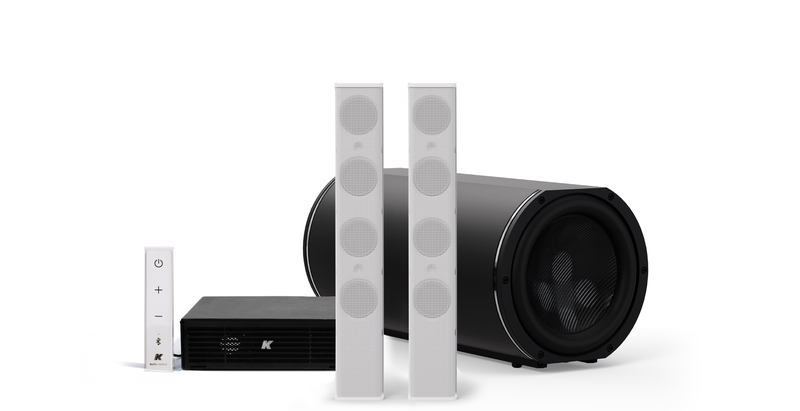 The largest system of the discreet line is the Azimut-KAMUT2V25, designed for when more power and a longer throw is required from an invisible profile, composed of two 25cm-long Vyper-KV25 loudspeakers, an ultra-compact Truffle-KTR26 subwoofer and a 14x14x2” Kommander-KA02 amplifier and a covert remote control. The Azimut-KAMUT2V25 is designed for larger rooms with higher sound requirements needed in a compact form, such as pubs, small conference and boardrooms, lounges and hotel lobbies. 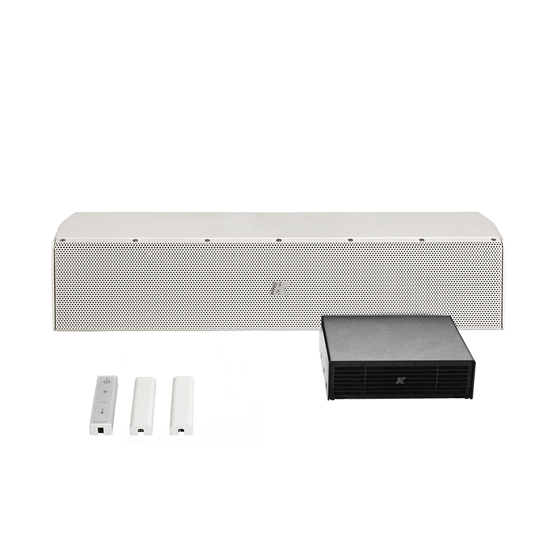 For applications that require audio coverage in multiple zones, we have designed a complete system that is capable of connecting all the speakers to one network. 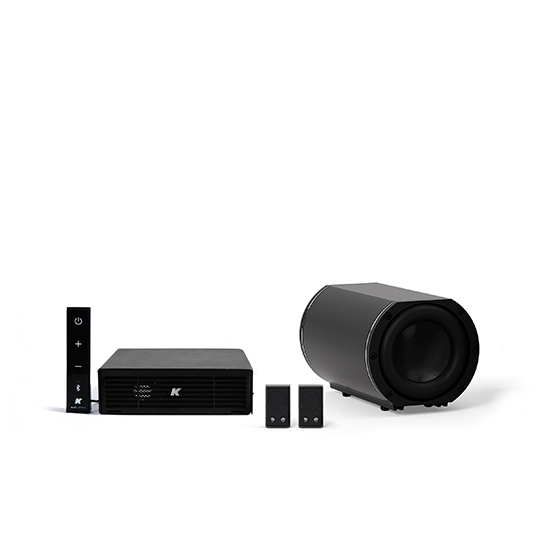 For applications that require audio coverage in multiple zones, we have designed a complete system that is capable of connecting all the speakers to one network. 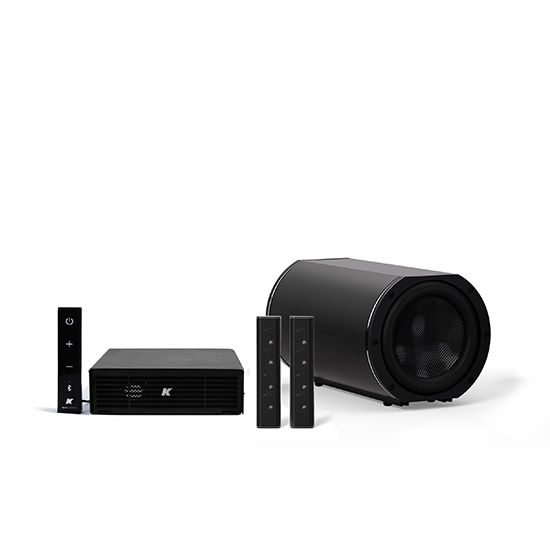 With the a dedicated built-in app, this solution can be networked and controlled from a single device allowing the user to set the main playback parameters of the speakers located in different rooms, when connected to the same network. With Wi-Fi and Bluetooth connectivity, users are able to stream preferred music directly from a mobile device, music library or from the web - allowing access to hundreds of thousands of songs. With Wi-Fi and Bluetooth connectivity, users are able to stream preferred music directly from a mobile device, music library or from the web - allowing access to hundreds of thousands of songs. Furthermore, the system can be remotely controlled via Wi-Fi providing easy access to playback features, source selection, equalizer and more. 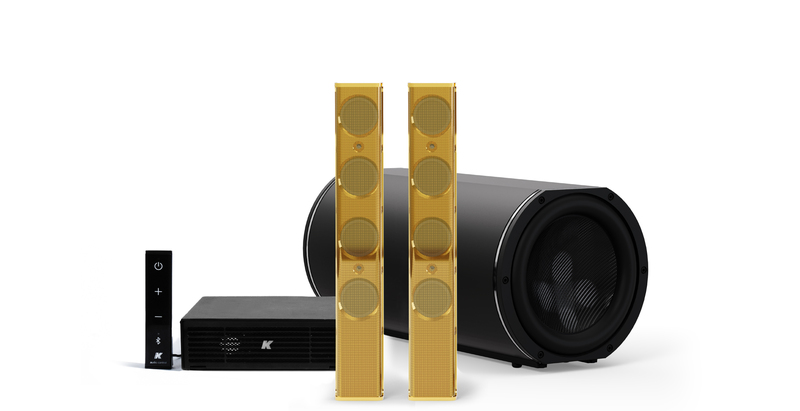 Passive loudspeakers require dedicated presets loaded onboard K-array amplifiers. New materials and designs are introduced into existing products without previous notice. Present systems may differ in some respects from those presented in this catalog.